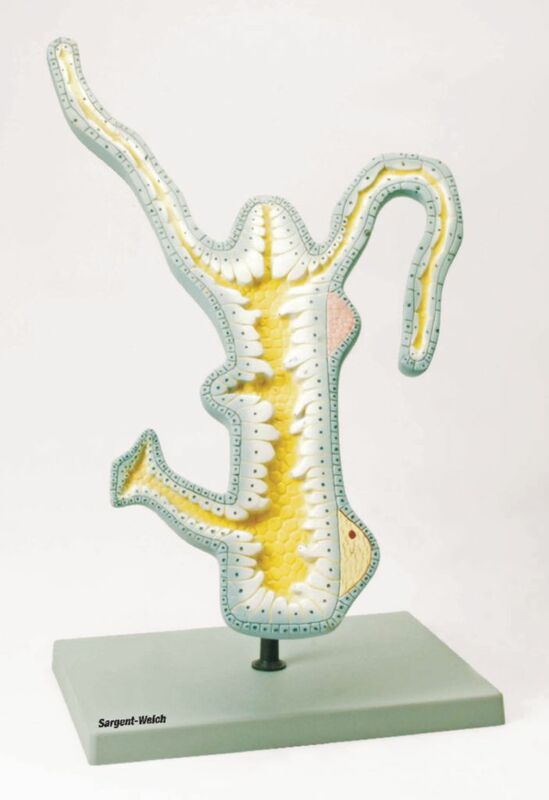 A three-dimensional dissection, this model shows the hydra’s mouth coelentron, testis, gland cells, ovum, and ovary. Structures are numbered. Model is mounted on stand and includes key card.